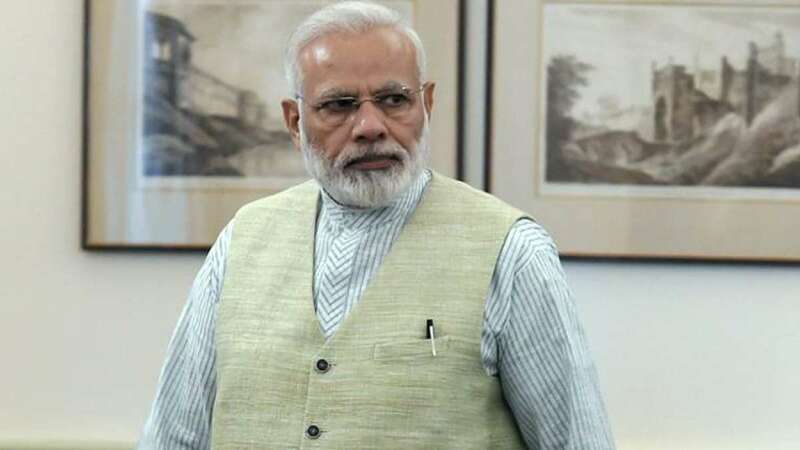 New Delhi : Prime Minister Narendra Modi on Monday condemned the killings of Seven Amarnath pilgrims, saying he was "pained beyond words" and "India will never get bogged down by such cowardly attacks and the evil designs of hate". "Pained beyond words on the dastardly attack on peaceful Amarnath Yatris in Jammu and Kashmir. The attack deserves strongest condemnation from everyone," said Modi in a series of tweets. "My thoughts are with all those who lost their loved ones in the attack in Jammu and Kashmir. My prayers with the injured." "India will never get bogged down by such cowardly attacks and the evil designs of hate." He said he has spoken to Governor N.N. Vohra and Chief Minister Mehbooba Mufti of Jammu and Kashmir and assured all possible assistance required. Six Amarnath pilgrims were killed and 14 others injured, including policemen, on Monday when a bus of yatris was caught in a cross fire between militants and a police party in Jammu and Kashmir's Anantang district, police said. Union Minister of State in the PMO Jitendra Singh on Monday said that the attack on Amarnath Yatra should be an eye opener for the "apologists who speak a different voices". Calling the attack as an "assault on the resilient Indian civilisation", he also held these "apologists" partly responsible for the attack. "This is not be seen simply as an attack on Amarnath pilgrims. It's an assault on the composite culture of Kashmir and resilient traditional Indian civilization. And I think this is also an eye opener for the apologists who have been talking in different voices," Jitendra Singh told India Today channel. He said the government will sternly deal with terrorism and added that the attack is "also a reminder for those who keep accusing us of not following Kashmiriyat". "Those of us in public life who profess to be part of mainstream politics also tend to get tempted to use a language that appeals to a certain constituency. And I think what is being witnessed today is partly an outcome of that," he said. He said that "those who have been speaking in apologetic phrases and expressions" would have to do a "course correction" because one cannot distinguish between good terror and bad terror. "Some of those Kashmir-centric politicians and political parties which claim to be mainstream would also have to rethink about how they wish to go about with it," said the Minister, who hails from Jammu.